In a world grower fatter by the day (1.9 billion overweight and obese), science is searching for answers to the pandemic. There are no easy ones. Obesity is complicated; genetics, lifestyle and the environment create an imperfect storm inside the body. Recent evidence points to the gut microbiome as one important risk factor. Indeed, the microbiome is rich in possibilities. Microbes affect metabolism; they change energy balance, impact inflammation, affect barrier function, and police food intake. Any of these can lead to weight change. More specifically, microbes harvest energy, make short-chain fatty acids (SCFAs), downregulate expression of fasting-induced adipocyte factor (Fiaf) and otherwise interact in the thicket of metabolic reactions involved in energy balance. 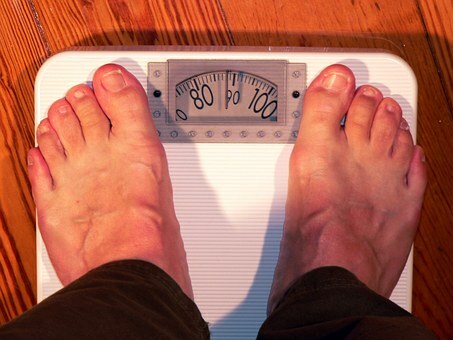 Striking evidence comes when looking at microbes in obese vs. normal weight subjects. A higher proportion of stool Bacteroidetes correlate with weight loss whereas Firmicutes do so in obesity. Bacteria belonging to the Firmicutes phyla extract more highly caloric short-chain fatty acids from fiber relative to Bacteroidetes. Manipulating the microbiome to target obesity is underway. A 2018 meta-analysis assessed the impact of prebiotics, probiotics and synbiotics on body weight, body mass index (BMI) and fat mass in adult human subjects. Of 4721 articles, 21 included studies with 33 study arms. Of these, 22 were probiotic, six prebiotic and five synbiotic. The majority of studies had participants with a BMI ≥ 25. The median duration of follow up in the studies was 12 weeks. Probiotics led to significant reductions in BMI, body weight and fat mass when compared to placebo. A subgroup analysis revealed that Lactobacillus showed reductions in BMI and the greatest reductions in body weight and fat mass. Duration of longer than 12 weeks also had body weight and BMI reductions in studies using low or medium probiotic doses. Prebiotics alone led to a drop in body weight but not BMI or fat mass. Synbiotics did not have any significant effect on weight loss or fat mass, although only three studies were included. Dietary Alteration of the Gut Microbiome and Its Impact on Weight and Fat Mass: A Systematic Review and Meta-Analysis by a team from Johns Hopkins University School of Medicine and its Public Health School appeared in Genes (Basel). The work is not done. More questions beg for answers: Which probiotics are best? Which subjects will respond? Is any weight loss sustainable? Still, for a health problem as widespread and intractable as obesity, a new approach with probiotics is promising, and welcomed.